Portland Jazz Composers Ensemble continues to find innovative ways to connect music with people and to re-examine ways to bring culture and relevance to its audiences. 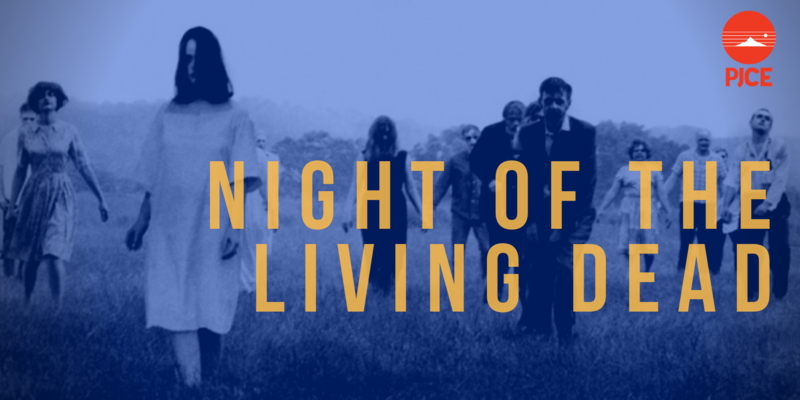 (PORTLAND, OR)—Portland Jazz Composers Ensemble (PJCE), in partnership with Holocene’s Fin Cu Cinema series and the Creative Music Guild, presents the iconic 1968 film “Night of the Living Dead” with a new live score composed by Amenta Abioto, Sage Fisher (aka Dolphin Midwives), and Maxx Katz for the city’s most adventurous jazz ensemble. On Thursday, October 25th at 8:30 pm the band will be on stage while the film is projected—with the original audio muted and English subtitles—on multiple screens around the Holocene’s two levels, with each composer scoring one-third of the film. Doors open at 7:30 pm. Tickets are $25 reserved seated, $15 general, and $10 Students and available at pjce.org/zombies and the door. This event is 21+ only, and costumes are strongly encouraged. Night of the Living Dead is supported by funding from the Regional Arts and Culture Council’s Project Grant program. Thursday, October 25th, 2018 @ Holocene, 1001 SE Morrison St, Portland, OR 97214. 7:30 pm doors open, 8:30 pm music begins. $25 reserved seated, $15 general seated/standing, $10 students. Tickets available at pjce.org/zombies and the door. 1968 was a momentous year in the United States and across the world. The Vietnam War raged on, the Rev. Martin Luther King Jr. and John F. and Bobby Kennedy were assassinated, and Richard Nixon was elected president. This independently-produced, small-budget film received scathing reviews and sold poorly when it was released, but now, 50 years after it was made, the film has proven to have remarkable staying power. This film originated the modern “lore” of zombies, now well-known as reanimated dead people that eat living human flesh. Because of the graphic violence the film contained, it was the center of a heated debate about the merits of censorship in popular culture. The event will be partly a Halloween party, and costumes are encouraged. However, the project will also amplify the dark undertones of the narrative that are revealed when looking at the film with 2018 eyes. The female characters are weak and completely subservient to the male characters; the film’s black protagonist Ben valiantly leads a group of survivors in a small farmhouse but is discarded at the end of the film; and when the characters gather around radio and television sets to hear news reports about the attacking “ghouls” we can’t help but wonder—if the zombie apocalypse did come today, would the American public trust the information it was receiving from the government and the media? PJCE widens the notion of what a “jazz composer” does with this trio of composers who work on the fringes of jazz tradition. 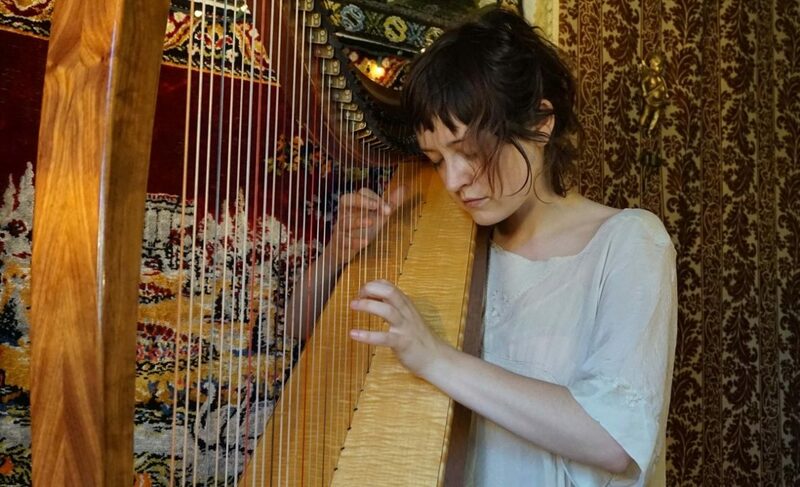 Sage Fisher, aka Dolphin Midwives, is a harpist, vocalist, and composer whose “looping delay-drenched harp and Björk-style vocal manipulations,” according to Willamette Week’s Wyatt Schaffner, create lush, otherworldly soundscapes. 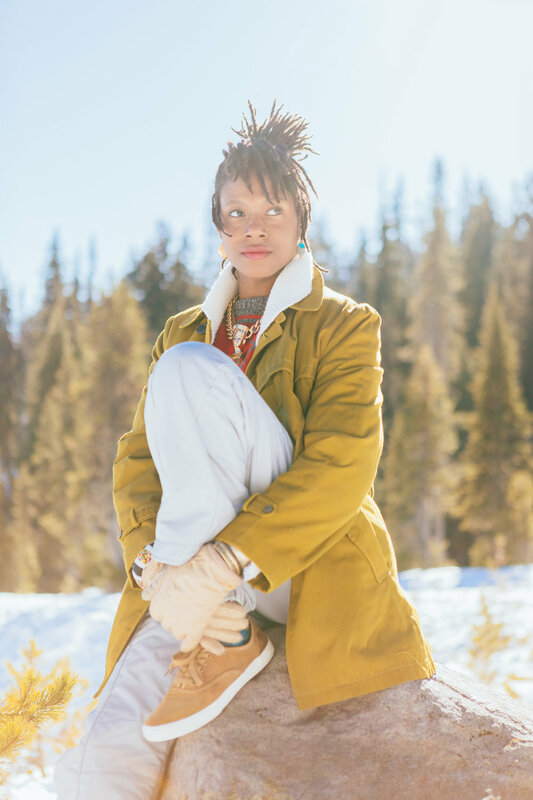 Amenta Abioto is a songwriter, singer, and multi-instrumentalist making hip-hop and R&B-inspired music with a ceremonial, experimental edge. 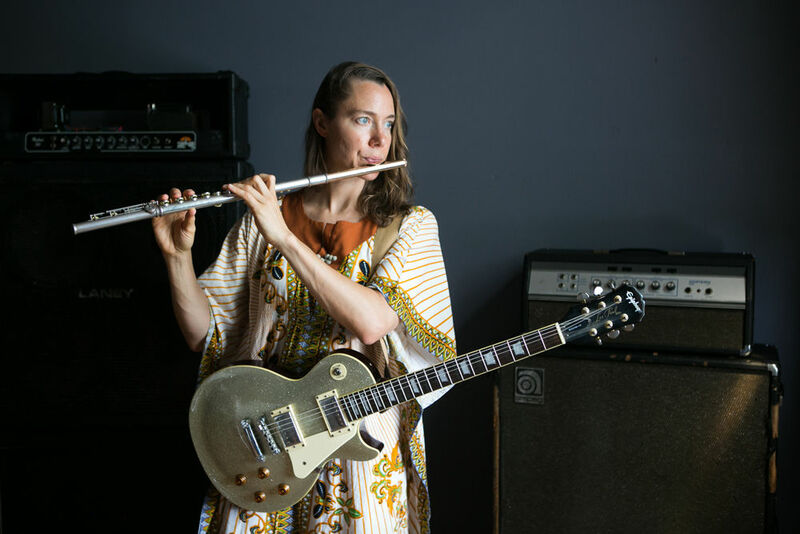 Portland newcomer Maxx Katz, known for her improvisatory flute and guitar work as Floom, incorporates experimentalism from composers like Edgard Varese as much as death metal noise.